Move over netbooks. The latest crop of budget laptops have large displays, cost less than $500 and have performance that blows netbooks out of the water. 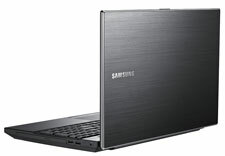 The 15.6-inch Samsung NP305V5A’s brushed-aluminum-texture finish and sharp styling make it stand out from the usual plasticky look of other budget models. Plus, it’s 1.6Ghz AMD A-Series Quad-Core A6 is by far the most powerful of our picks. Includes 4GB of RAM and a 500GB hard drive. Weighs 5.5 pounds. Price: $499.99. 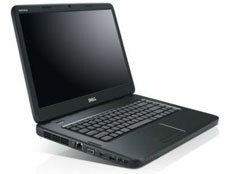 This attractive laptop sports a 14-inch display with a wide viewing angle, a comfortable keyboard and good audio. 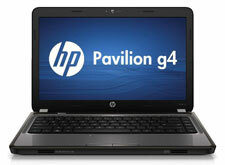 The HP Pavilion g4's 1.65 GHz AMD Dual-Core E-450 processor is the least powerful of our choices, but the Pavilion g4 is also by far the lightest at 4.6 pounds—perfect for everyday computing and occasional travel. Includes 4 GB of RAM and a 500 GB hard drive. Price: $499.99. The 15.6-inch Dell Inspiron 15 N5040 is in the middle of the pack in terms of processing power, with its 2.53GHz Intel Core i3 processor, and it's also the heaviest at 6.02 pounds, but it’s a good choice for those that are looking to perform everyday computing tasks at home. And it's $50 less than our other picks. Includes 3GB of RAM and a 500GB hard drive. Price: $449.99. Verdict: Solid performance at a great price. Great Article on budget laptops. My husband and I are in desperate need of new laptops and the ones you’ve listed are nice but I would like to know your opinion on the Acer brand of laptops. I’ve been researching different makes and models and the Acer brand to me is at the top of my list. I would like to know your thoughts on the Acer brand. Acer has defininitely been moving up as a brand, but we’re reluctant to recommend one brand over another because comparisons generally need to be made on a model by model basis. So I would recommend that you check user reviews on Amazon or Newegg for the specific model you’re looking at, as well as google for professional reviews.